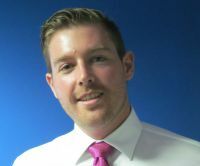 Aerospace logistics specialist B&H Worldwide has appointed Chris Allen to the new position of business development manager, Asia. Based in Singapore he will be responsible for identifying opportunities for the company to grow its products and services across the region. For the last six years he has been based at the company’s London Heathrow global headquarters.